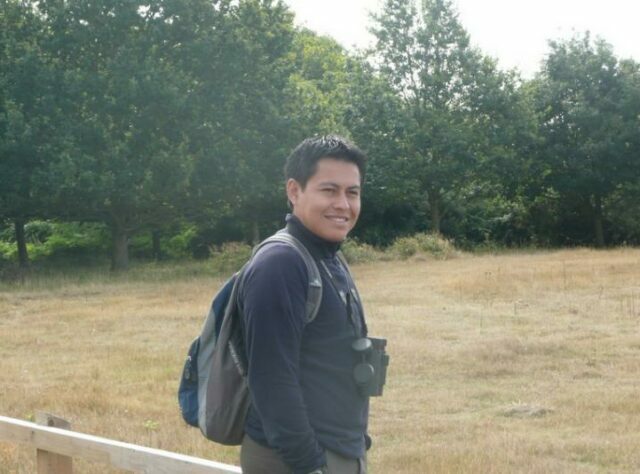 Denis Mosquera has worked for Fundación Pro-Bosque since 1995 as a biologist, researcher and specialist birding guide at Cerro Blanco. In August Denis travelled to the UK. He describes his experiences. You never really know a place until you visit it. Throughout my life I have seen many images of cities and towns in England but none of them came anywhere near the reality. In August I visited England for the first time as a guest of World Land Trust (WLT). 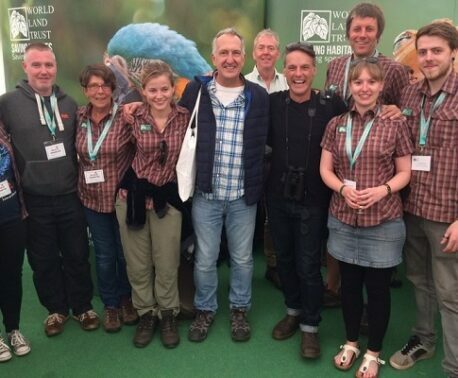 During the trip I joined WLT staff at Birdfair, at Rutland Water. On the first day of Birdfair I realised that most people know as little about the real Ecuador as I knew about England. Although most of the people I spoke to knew that Ecuador is famous for its birding, wildlife and cuisine, a good number did not know that our dry forest Cerro Blanco is so close to Guayaquil – Ecuador’s largest city – or that the Galapagos Islands are part of Ecuador. As a representative of an Ecuadorian conservation organisation, it was good to be able to tell people more about my country. During Birdfair I met people from many different cultures. They had different perspectives, but what they all had in common was a focus on birds. I met international bird guides, representatives of multinational birdwatching companies and conservation institutions, wildlife artists, people involved in bird monitoring technology and many others. Meeting such a diverse range of people opened my mind to ideas and topics that are important to me. The experience will help tremendously in my work at Cerro Blanco Protected Forest, particularly in promoting birdwatching and ornithological research in the forest. 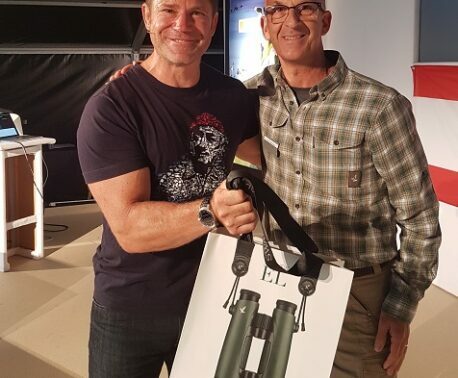 In particular I was pleased to make contact with people from academic institutions and birdwatching companies who may be able to include Cerro Blanco in their research programmes and itineraries. While I was in Suffolk I had the chance to visit some bird reserves along the East Anglian coast. Dan Bradbury, WLT’s Head of Digital Communications, is a wonderful guide and I am grateful to him for taking me to Waveney Forest to look out over Haddiscoe Island, and to Blythburgh and Minsmere. He helped me identify a large number of birds and was clearly amused at my excitement at seeing common species like the beautiful Magpie. Spending time with the WLT team was very rewarding and I appreciate all the support I received. Thanks to WLT my English is 200 per cent better than before my visit. The trip was my first to an English speaking country. I hope it will not be my last. You can support conservation at Cerro Blanco by donating to WLT’s Action Fund and specifying Cerro Blanco in the comments box.